Ambassadors: Let's Keep it Clean! Water is a vital resource that needs a voice. 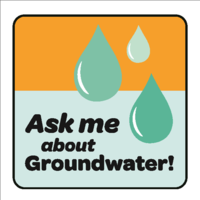 Earn these patches and become a voice for groundwater! 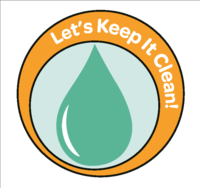 Earn this patch by completing two activities from the Ambassador: Let's Keep it Clean! patch booklet. Click here to purchase. Earn this patch by doing more activities from the Ambassador: Let's Keep it Clean! patch booklet. Click here to purchase. Purchase your Ambassador patch booklet here! Ever consider earning your Gold Award? 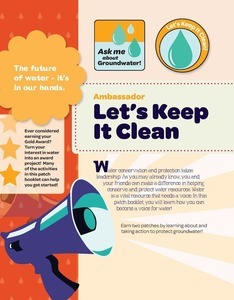 Turn your interest in water into an award project! Many activities in the Ambassador: Let's Keep it Clean! booklet can help you get started!